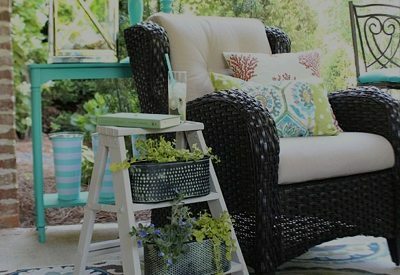 I love sharing affordable ideas for refreshing your home, today’s ideas are sponsored by Better Homes and Gardens at Walmart and contains affiliate links to products used. The temperature has dropped, the pumpkins are out, it’s officially autumn at our house! 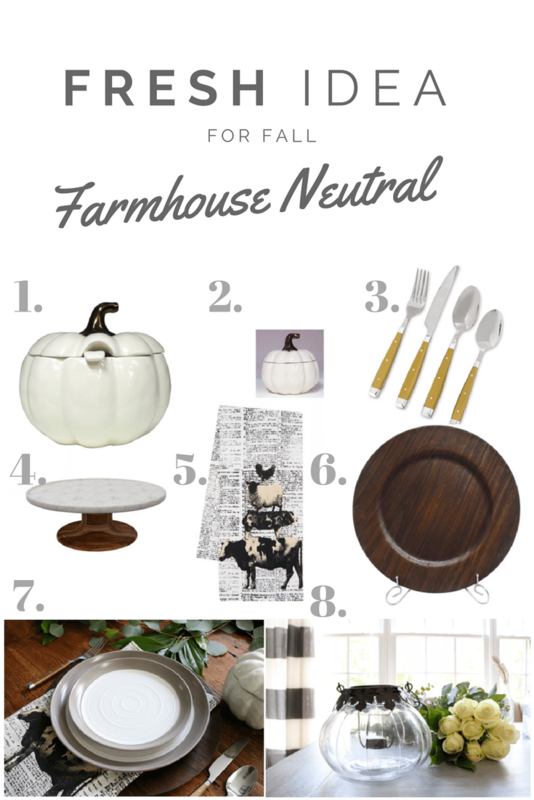 I can’t wait to share my farmhouse dining table dressed for fall. 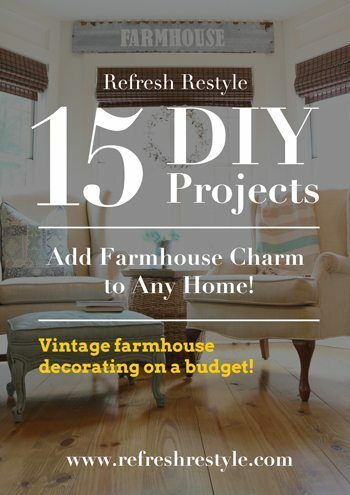 Creating a rustic dining experience is easy and affordable. 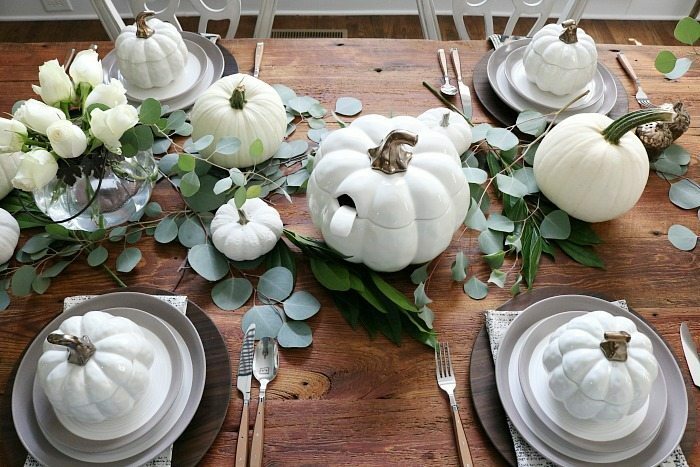 Everything used on the table except for the greenery is from Walmart, even the white pumpkins! 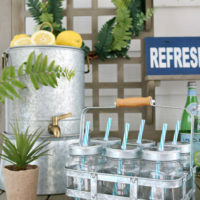 Entertaining can be draining, all the planning, prepping and putting it together. Slow down and enjoy your time with family and friends. 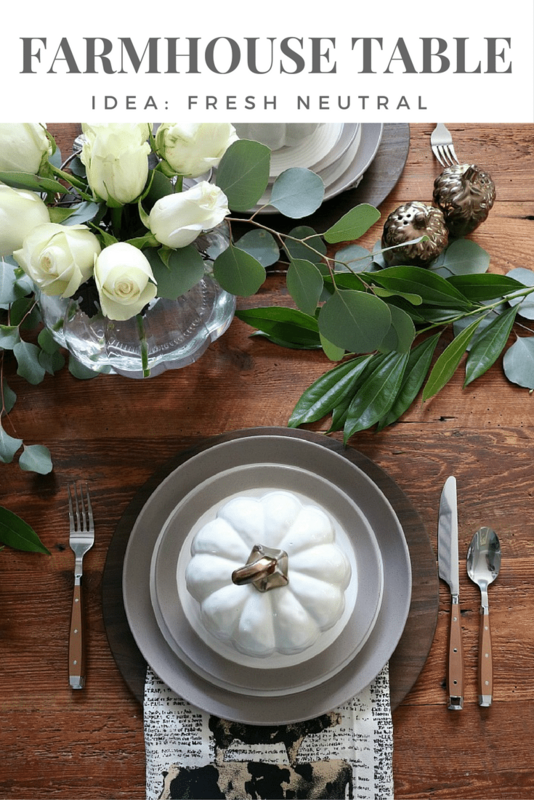 This tablescape is fast and easy. 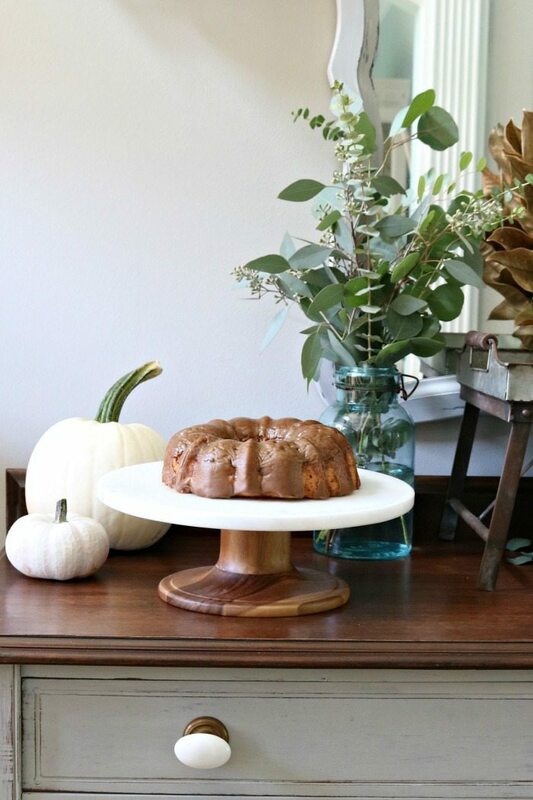 Keep it simple: When thinking about seasonal decor, I love using neutral dinnerware. 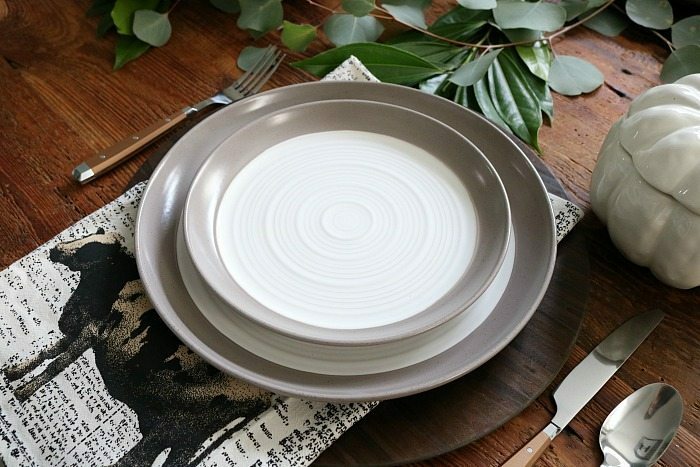 This stoneware is perfect for dressing up or using every day. 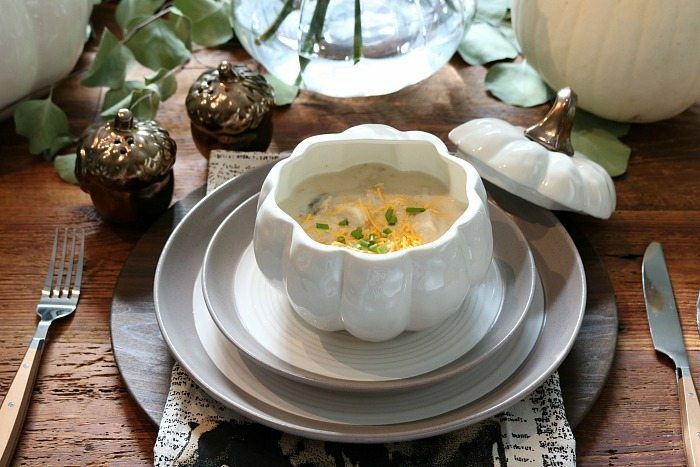 The pumpkin soup bowl completes the fall look. 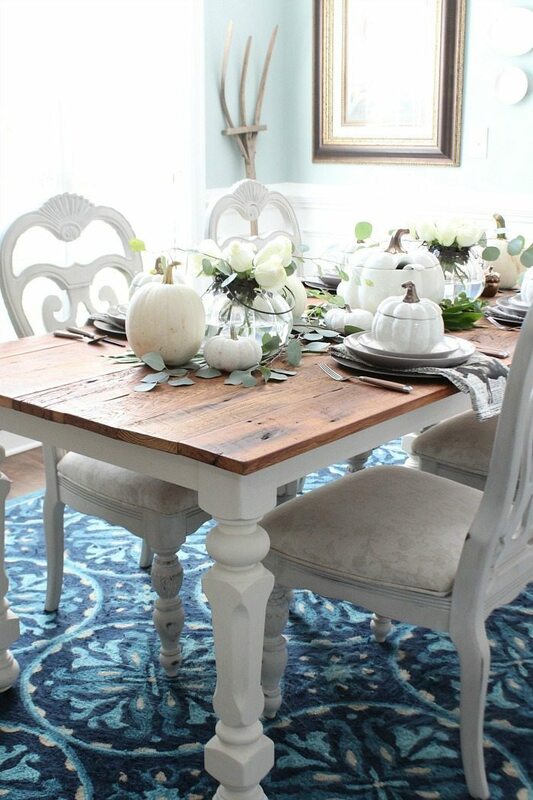 Centerpiece Idea: My barn wood table is the ideal back drop for a casual dinner. 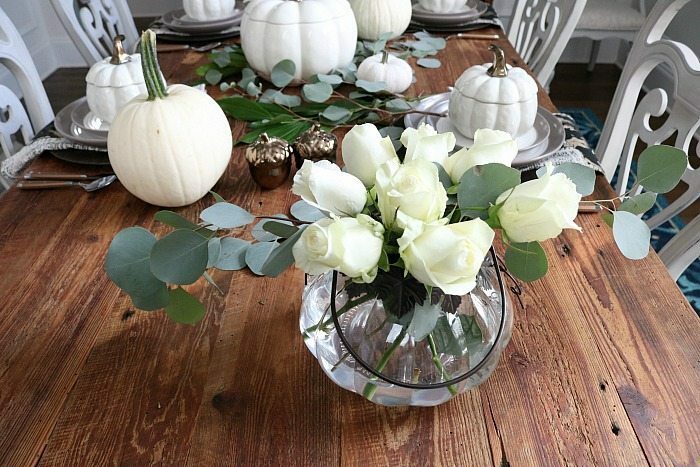 To add a little elegance, I chose white roses for the centerpiece. 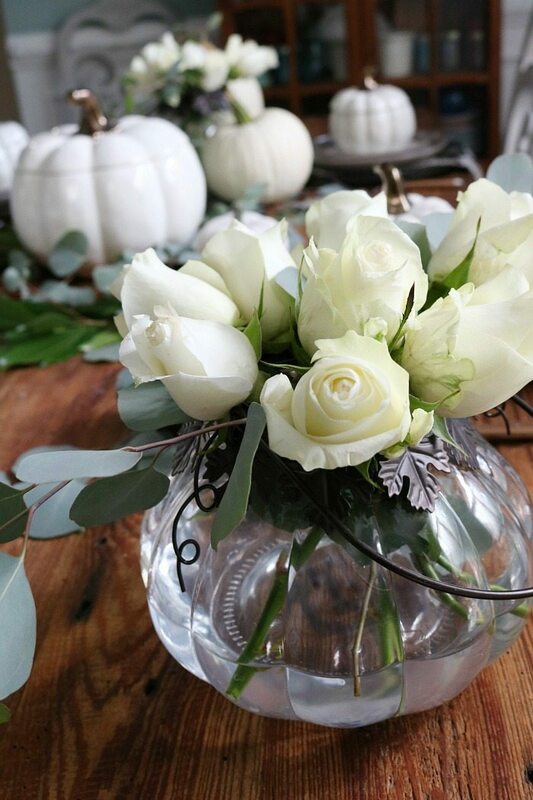 You can see how I created them, click here: pumpkin vase centerpieces. Flowers and greenery from the grocery store keeps the cost down while creating an interesting low profile arrangement. I love being able to see the surface of the table through the centerpiece. The old barn-wood is indestructible, laying the greenery on it doesn’t hurt a thing. 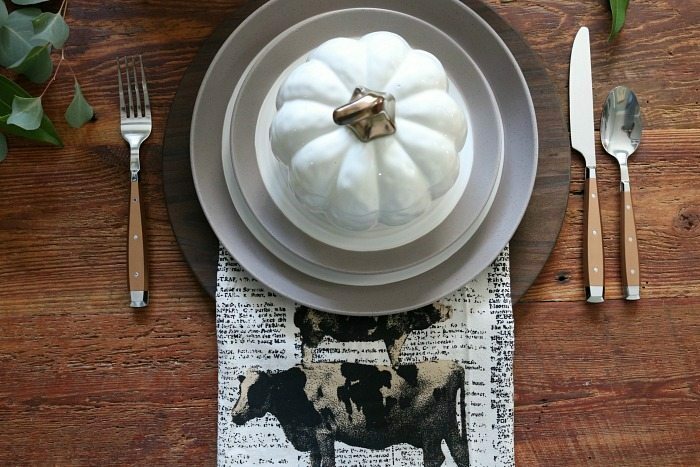 You may want to add a table runner to protect the surface of your table. The metallics are used in the copper silverware, stems of the pumpkin bowl, soup tureen and the acorn salt and pepper shaker. 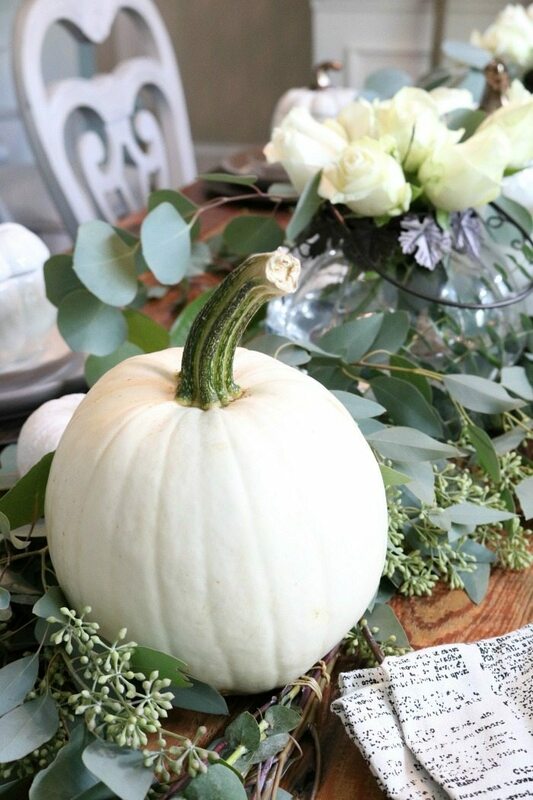 Real pumpkins are included in the centerpiece and represented in the flower arrangements along with the soup service. 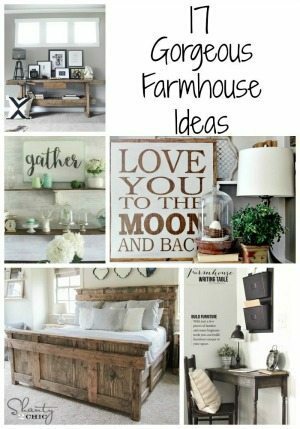 The neutral tones of white, green and barn wood patina create a rustic casual appeal. 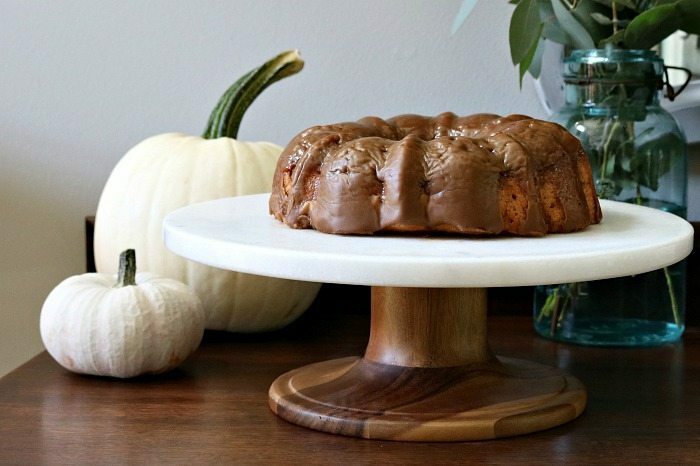 Presentation: This store bought spice cake is a show stopper when presented on a marble cake stand. The rich wood tones of the base give it a refined, yet rustic touch. It makes the cake taste better too, maybe not, but it looks great! 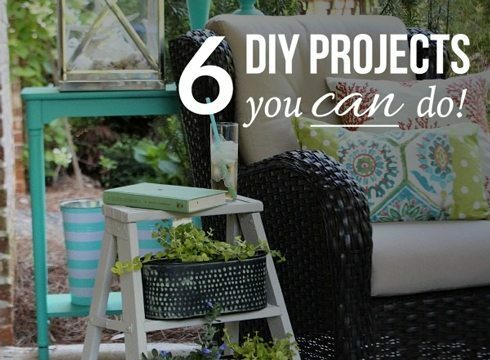 I’m honored to be a part of the Better Homes and Gardens Blogger Network. Stunning room. You really pulled it together. However, I think the color of your light fixture dies. It just looks so out of place. If it were mine, I would paint it. Of course, I paint a lot of stuff, including lights. I totally agree! I just asked this question on my Facebook page. If I weren’t moving, I’d paint it!! 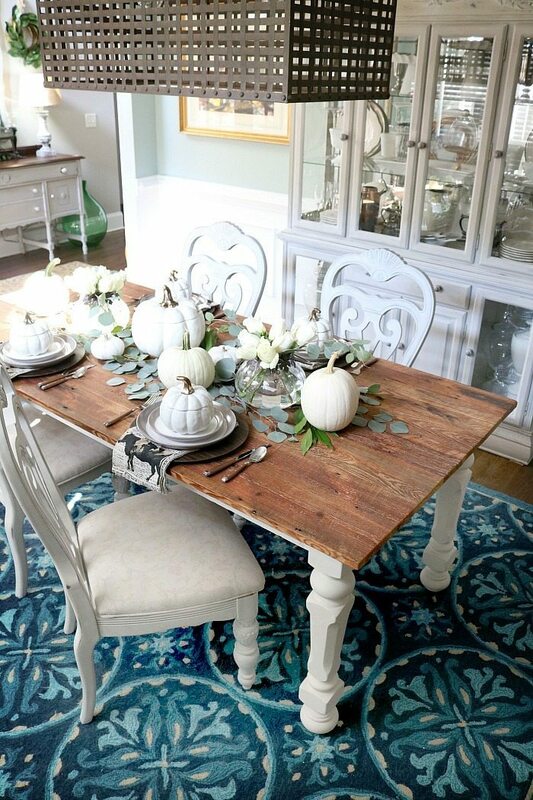 Absolutely Stunning, makes me wish I could eat at that table everyday. I love the table setting. 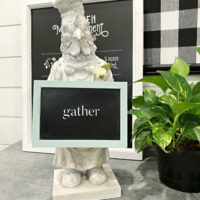 You did a great job, I am going to try to use some of your ideas for our table. I have already gone to the Walmart to look for the animal print towels, they are out of stock and I can only guess why. This is lovely! 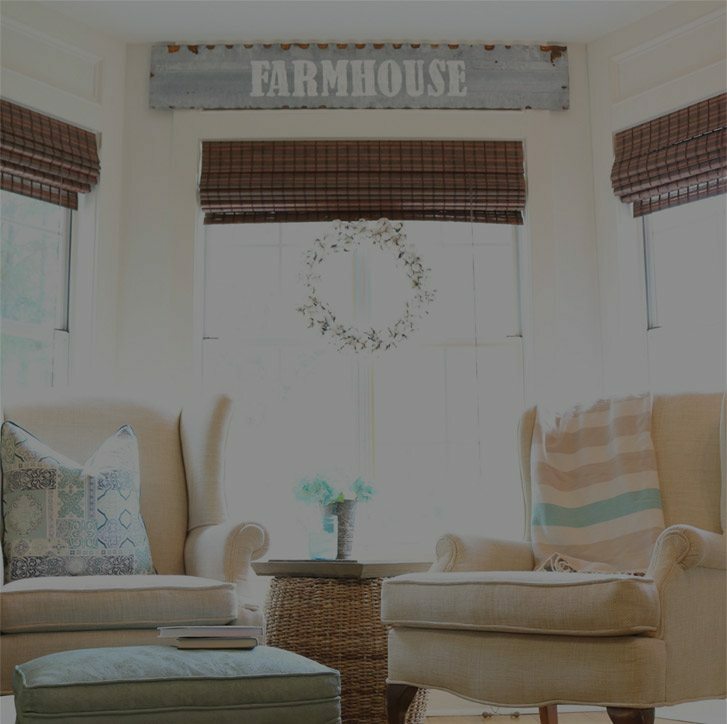 We just recently bought a used farmhouse table and refinished it. I love the look, and enjoy dressing it up, too! I’m going back to simple! This is lovely! We recently sold our home of 15 years with 35 years worth of stuff we had to go through. Best thing we ever did! Pared down to what we love. Now to find a new home….. Your table is gorgeous. Simple and elegant!! I love the table. I am a huge fan of whites, with that said I felt that the white roses blended in with the white dishes. A colored rose would have given it some definition. Your table is beautiful but the advertisements are very distracting. 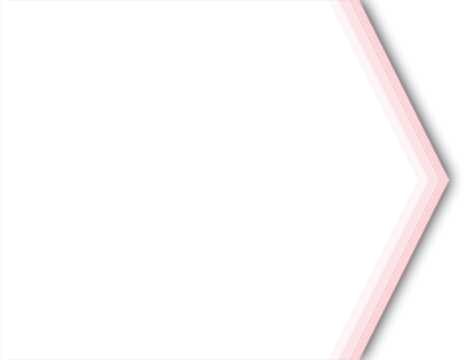 Sorry about the distracting ads, it’s the only way to run free blog, there are membership sites that charge. I don’t want to do that at this time. 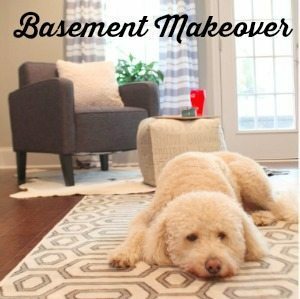 As a blogger we provide ideas and inspiration at no charge to our readers. Can you tell me where you got your rug? It is exactly what I am looking for! 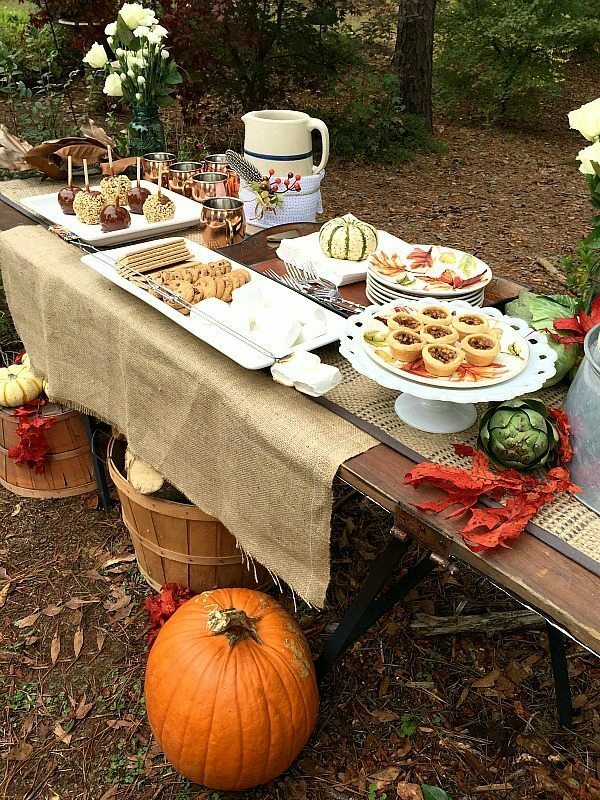 I love the beautiful tablescape. Thanks Cheryl, I actually bought if at a thrift store, but the tag on the bottom say TJ Maxx. 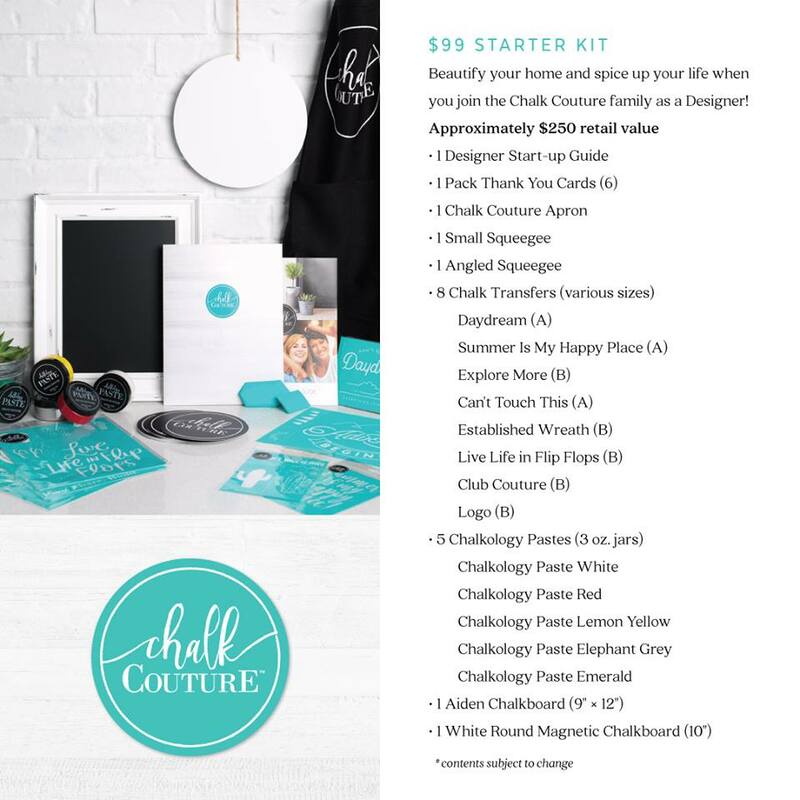 Debbie, this is all so gorgeous! I love the creamy neutrals. So chic!